This was posted on January 21, 2019 by Sarah Maxwell. We’ve long appreciated Samaritan Ministries, a ministry that offers Christian health care sharing. Families helping families in the Lord. They have such hearts for the people they serve. 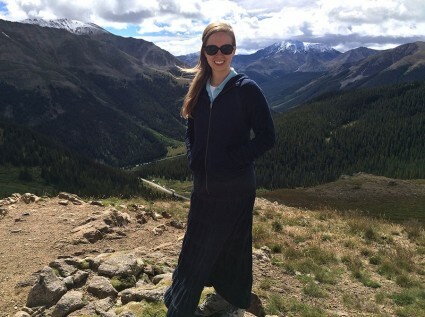 Originally, I (Sarah) began in it when I turned 19. Nathan and Melanie joined after they got married, and when the other three brothers married, they too joined as their own household. At the time, my family was in another sharing program, and the only reason they had stayed was because of pre-existing conditions (which Samaritan’s doesn’t cover). Finally, the Lord gave my parents freedom to join Samaritan’s, trusting Him with the pre-existing conditions. That was three years ago, and we have been so thrilled to finally be members! 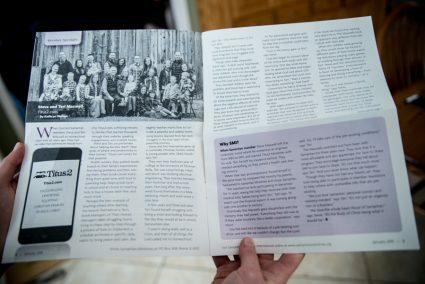 In their January newsletter, Samaritan’s did a Member Spotlight on my parents and the Titus2 ministry. Here’s the link to the online version. They also highlighted Titus2’s resources. See this link. There’s also a separate article about why we chose Samaritan’s. If you are looking for an alternative to the mainstream health care, and what they support, we encourage you to check out Samaritan Ministries. Here’s a link where we share more about Samaritan’s. I’d love to hear how many of you use Samaritan Ministries. Thanks for all the birthday wishes. I had a beautiful day! This was posted on December 20, 2014 by Sarah Maxwell. Over the years, the topic of health insurance and what we do for it has come up. It’s also been a popular question in the small business session at the Energize Conference. Maybe you need health-insurance and haven’t been sure what to do. Or, perhaps your health-care dollars go to providing unethical procedures, and that’s troubled you. How would you like to be a part of a cost-sharing program where your money goes to help other Christians who have health needs? 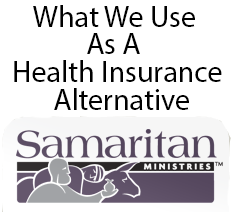 There are several Christian health insurance alternatives (and yes, the IRS allows exemptions for Samaritan Ministries). About 13 years ago, I joined Samaritan Ministries. I’ve loved being a part of such an amazing organization! Each month, you send your share to another family or individual who has had a need. The prices are very reasonable for an individual, couple, or a family. If you decide to join, please list my parents’ names, Steve and Teri Maxwell, as the referral. This will bless Titus2 with a credit which will help the ministry. Although I’ve never had to submit a need, Nathan and Melanie, who are also members of Samaritan Ministries, have had needs to be shared. 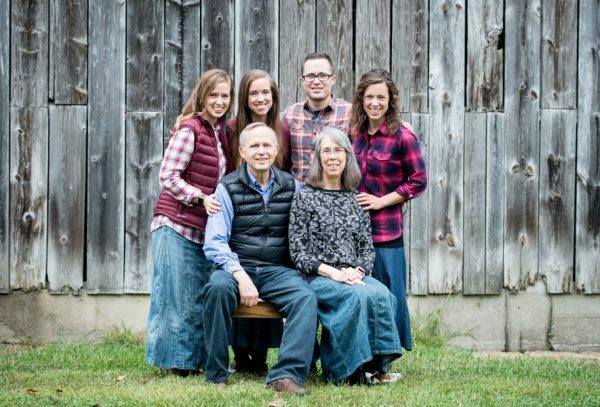 Samaritan Ministries has taken amazing care of Nathan and Melanie’s health-care expenses. With their preemie babies and other complications, Melanie said she’s not worried when she’s in the hospital about their medical costs. One thing we strongly recommend is to also enroll in Samaritan’s Save to Share (for needs over $250k). It adds only a small amount every month, and it’s worth it. If you have a catastrophic need, suddenly that extra you’ve paid is nothing. So, if you’re thinking about a health insurance alternative, check out Samaritans. All of us Maxwells are in the program. Be sure to check out the section on pre-existing conditions. If you have questions please ask Samaritan’s directly. They are truly a ministry. The last few months, there has been too much share money, so they’ve reduced the amount everyone has paid in by a certain %, instead of keeping the extra. Pretty incredible!